Dubai-based airline flydubai was recognised in the aviation category at this year’s Aviation Business Awards. 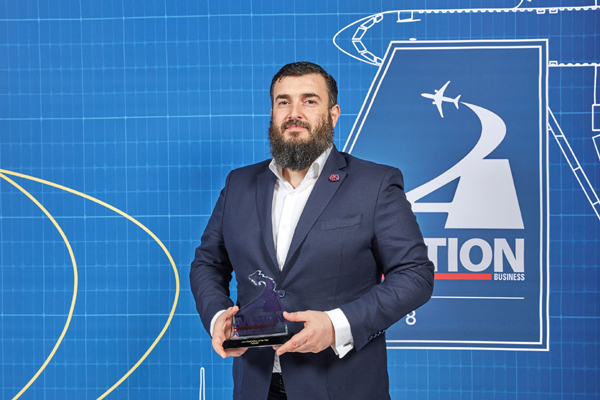 Voted by industry experts, the achievement marks the airline’s third industry recognition within a few weeks and the third time that flydubai has won the award. The award reflects flydubai’s achievements in the past 12 months, including the start of an extensive partnership with Emirates, the introduction of the new Boeing 737 MAX 8 aircraft to its fleet and the launch of its new online portal, Holidays by flydubai. The airline has also launched a new mobile application, a new home check-in service for passengers in partnership with Dubz and dnata and refreshed its look with a new crew uniform. “I am delighted to receive this award on behalf of flydubai, as it showcases our continuous hard work and our efforts in innovating and enhancing our passengers’ travel experiences,” said Jeyhun Efendi, senior vice president of commercial operations and ecommerce at flydubai, who collected the award on behalf of the airline. “These milestones in the past year demonstrate flydubai’s continued role in the aviation sector in the UAE,” he added.